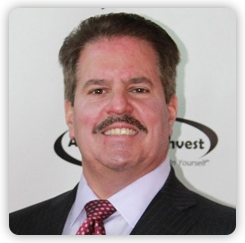 Hi my na me is Joe Capuozzo and I am the founder of Average Joe Invest. The reason I started the Average Joe Invest Partnership Program was because I had a few friends who were not investors or entrepreneurs but were looking to make some extra money. They had some money sitting in their bank accounts and self-directed IRA’s, not a lot but a couple thousand dollars. One day over lunch they asked me if I had any ideas. I had been talking to a former business partner earlier that week and he was showing me how he was making a very high return in a very short amount of time with online shopping sites. I decided to do a little research on how it worked and ended up putting together a team of seasoned website creators and marketers to create me a system of site development, keyword search, SEO and search engine marketing to drive traffic to the sites. I first tested it with about dozen sites myself to make sure that our system worked before I opened it up to my friends. After several months of success my friends started having their friends wanting to do the same thing. That is how Average Joe Invest Partnership Program was born. The program is very simple. Basically anyone with a few thousand dollars in the bank can participate. The best part is that it takes no previous experience and partners can receive up to a 50% return on their money in a very short amount of time, typically 6 months or less. If you would like to start investing in your future by starting your own business partnership, then Average Joe Invest Partnership Program might just be what you are looking for. The Average Joe Invest Partnership Program is pretty simple. It’s approximately a 6 month long program that can yield a partner up to a 50% return on their initial capitalization. The best part is that we guarantee their money with a performance bond so that there is no possible loss to our partner. To get started as a partner you need $2,000. This money is used to set up the company, domain, hosting, website creation and funding the internet marketing campaign to create website profitability. As a partner you get to choose the products you want to sell, the domain name and the design scheme of the site. One of the major advantages is that we have our own design team so your site will up and running within a week opposed to the typical one to two month turn around with most web design companies. After your website has gone live you will be assigned an account executive that will update you every 2 weeks on your website performance. Average Joe Invest pays all of the operational costs including the team of internet marketing specialists, account executives, customer service personnel and bookkeepers for the entire 6 month partnership. All you essentially pay for is the initial site set-up and the internet marketing campaign. Search Engine Optimization will be performed by our SEO team who will work on getting the ranking of your site where it needs to be to start generating revenue. Our internet marketing team will tweak product placement and select the best keywords. Good Search Engine Optimization can be the pivotal factor in websites profitability. For added security the sales revenues from your website will go directly to your partnership company’s bank account. Once the site has been marketed for the 6 months, we buy your share of the website for up to 50% more than your initial capitalization. It’s important you understand that we only make money if you make money, because we will pay you NO LESS than $2,000 for your share of the website, even if the website did not show a profit. After you sell your share of the website, you can put your initial capitalization back in your bank account and start a new website. Repeating the process every 6 months and banking your profits over and over again. Which means you can make a potential 100% return on your money in a year. Try getting those numbers from a stock broker. So don’t miss out on this opportunity, let the Average Joe Invest Partnership Program put your money to work for you.